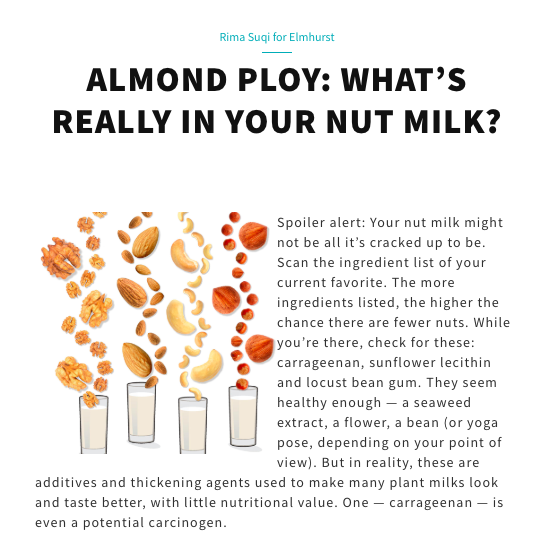 29 Nov What’s really in your nut milk? It was something I hadn’t pondered until Elmhurst 1925 asked me to write an article on that very topic. The answer might surprise you. Read all about it here. Including cool infographics by Heather Jones.